Over the last couple of days, the actress has been spotted in a sharara, a jumpsuit, peppy schoolgirl dress and a fitted number. Phew! 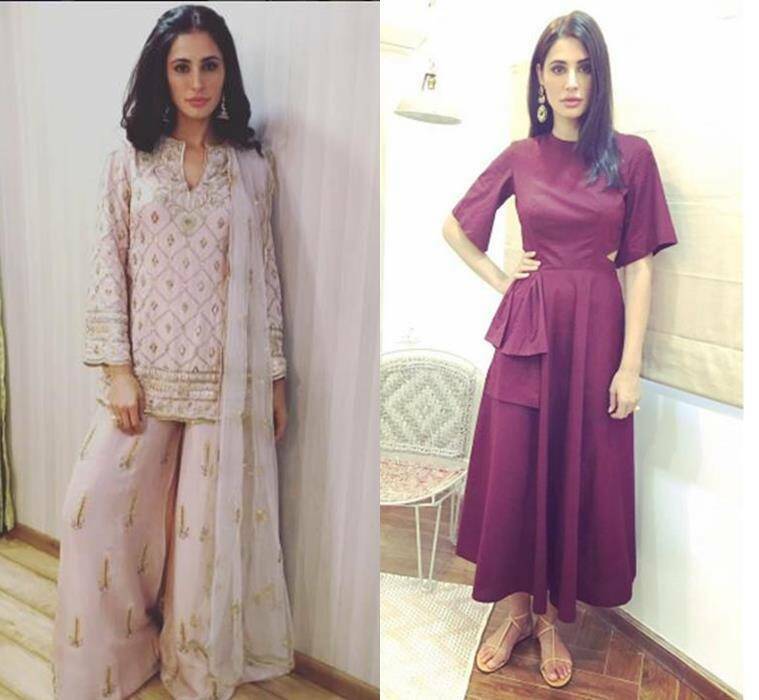 Banjo promotions are on and we have more than one reason to be happy, with the most important being Nargis Fakhri! Looks like the actor has her ‘A-game’ on. 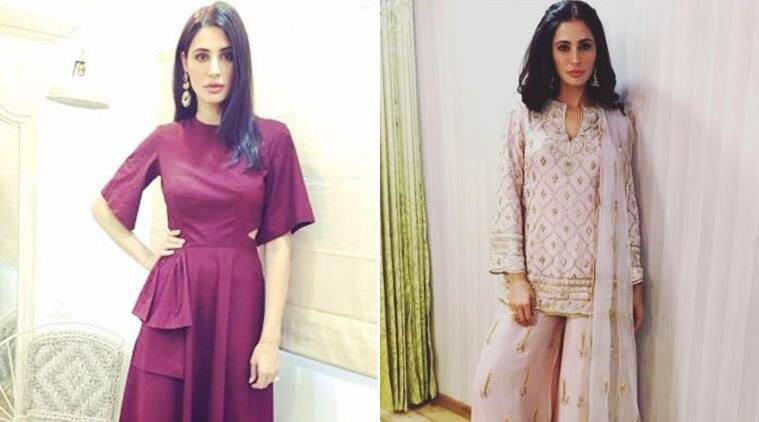 Over the last couple of days, the actress has been spotted in a sharara, a jumpsuit, peppy schoolgirl dress and a fitted number. Phew! Let’s start with the jumpsuit. Fakhri was spotted in Shift by Nimish Shah navy blue jumpsuit. Stylist Allia Al Rufai paired it with black pointy toe flats, accessories from Shubhashini Ornamentals by Akassh K Aggarwal and Hyperbole Accessories. But not just her, hairstylist Zoey Quinny and make-up artist Ajay Vishwasrao did a pretty good job too with a straight hairstyle and matte glow make-up. So doable, no? The same day, the actress was spotted in this dress by BCBG Max Azria. She finished the look with a ring from Belsis Jewellery and white lace-up sneakers. SO somfortable and so easy to put together, that we are in love.